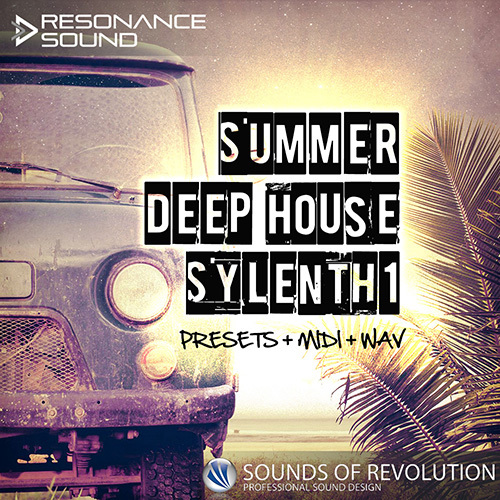 Sounds of Revolution (SOR) presents Summer Deep House Sylenth1, an expertly designed preset pack for one of the most popular synths – Lennar Digital’s Sylenth1. This pack also works great for UK house, bass house, deep tech, minimal techno or other EDM related styles. All presets provide full modwheel allocation for maximum flexibility and direct sound changes. These carefully programmed construction kits (50 MIDI and 56 WAV files in total) are royalty free, fully customizable and ready for you to put your own unique stamp on! Simply drop the included WAV files into your DAW to get instant results. Each and every Wav/Midi stem is named after the corresponding part/sound in the included Sylenth demo.